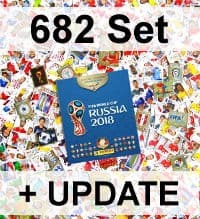 Panini World Cup 2018 stickers collection - what can we expect? 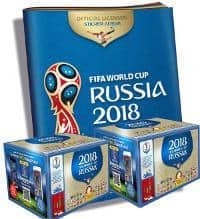 There will be several interesting and exciting Panini collections around FIFA World Cup 2018 in Russia, whether stickers or trading cards. Here at Stickerpoint you will find out all the news and facts about what a collector needs to know. We supply you with current information, e.g. 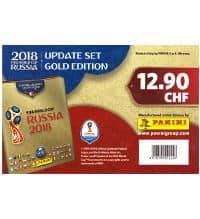 about Panini Road to World Cup 2018 and Panini Confederations Cup 2017. Here you will find all important facts and exclusive photos directly after public release. 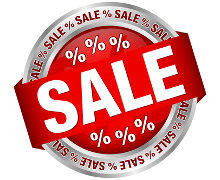 Of course you can buy all products - albums, sticker packets, displays/boxes, starter-sets, etc. - in our online-shop. The next weeks and months will be very exciting, because the first collections are already about to be released. This makes the collector's heart skip a beat for sure. As soon as we can provide reliable data of the respective series, we will immmediately start presale. 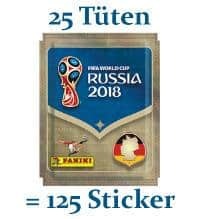 Thus you can comfortably order for example your Panini Road to World Cup 2018 stickers from your home in the Stickerpoint online-shop. 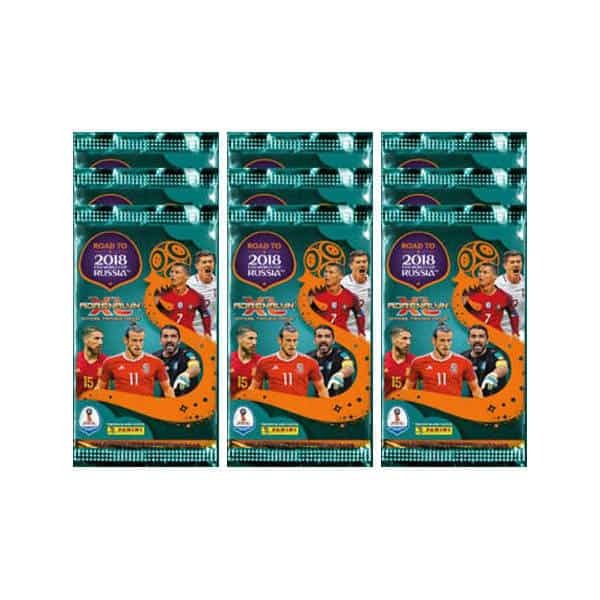 As one might have thought, collecting already starts in 2017 with Panini Road to World Cup 2018 series. 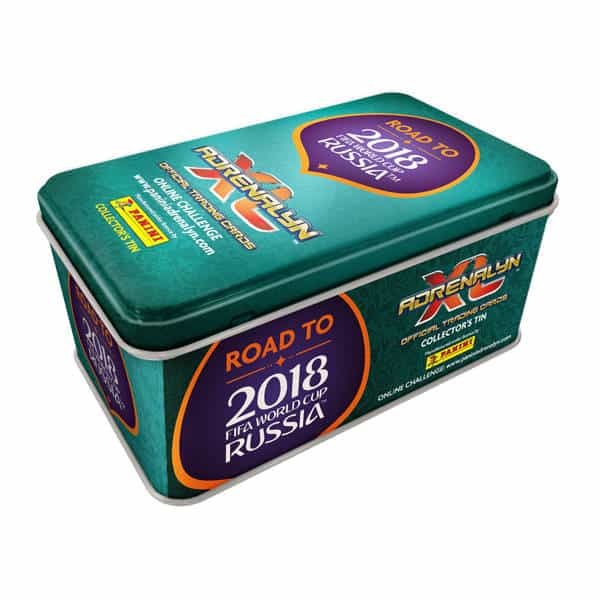 It is definitely clear that there will be both Panini Road to Russia 2018 stickers collection and Adrenalyn XL trading cards game (TCG) as a foretaste of the next FIFA Football World Cup. 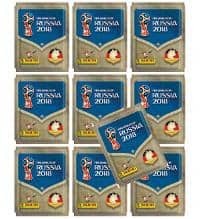 Panini Road to World Cup 2018 will be about the favourites of the qualifiers for the final round in Russia. This means that teams like Germany, Brasil, Spain etc. 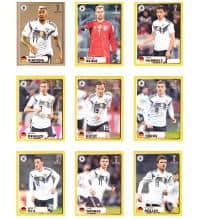 are very likely to appear in the Panini Road to 2018 album. Probably there will again be no badges, team photos, stadiums- and/or shiny stickers, but only - as before - images of football players. 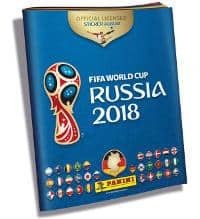 Each team inside Panini Road to World Cup 2018 stickers album will be presented on two to three pages. 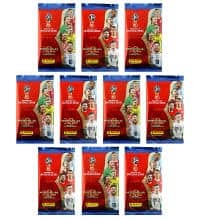 The smaller associations will rather have two and the bigger football nations three. An order form might be included as well, since it belongs to the standard by now. 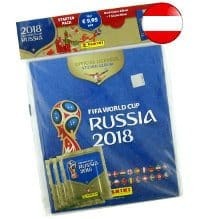 Each packet contains five stickers and the price is 0,70 € per packet. 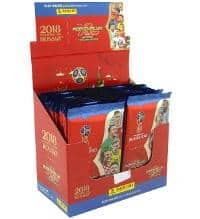 A whole Panini Road to World Cup 2018 display has 50 packets per box. 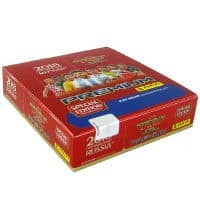 In each regular booster there will be 6 cards and a box contains 50 boosters. 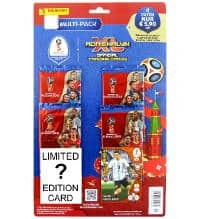 That makes 300 Panini Road to World Cup 2018 Adrenalyn XL cards per display in total. 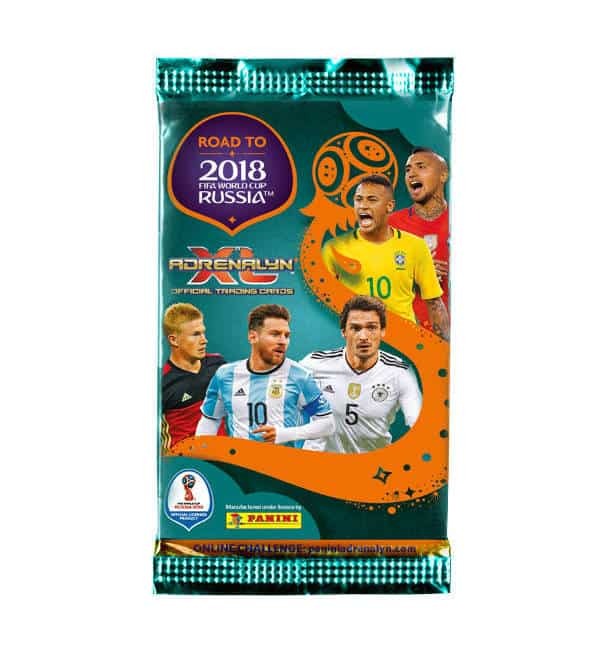 Like in previous trading card series there is a Panini Road to World Cup 2018 Adrenalyn XL starter-set including a collector's folder and several extras, like game board, rules, 5 packets, limited edition card (Lionel Messi), special card. 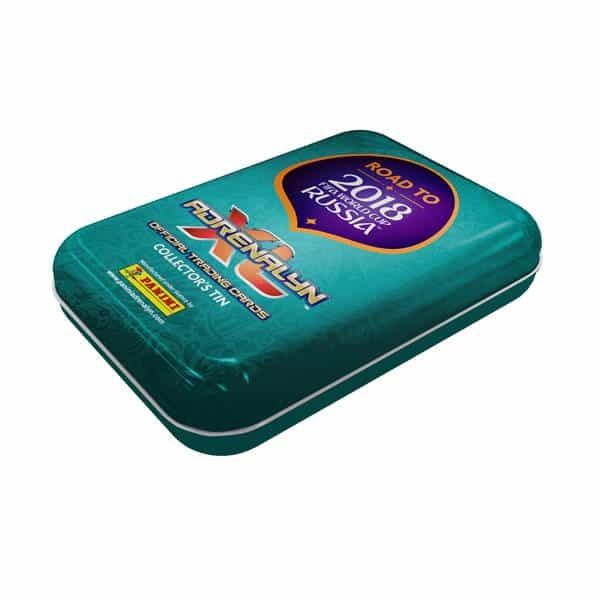 Furthermore you can expect special features like tins, Premium packets, multi-packs, pocket tins etc., which also include various special cards. 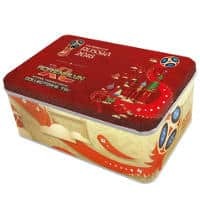 For example the mini-tin contains Kevin de Bruyne and the big tin provides Andres Iniesta. 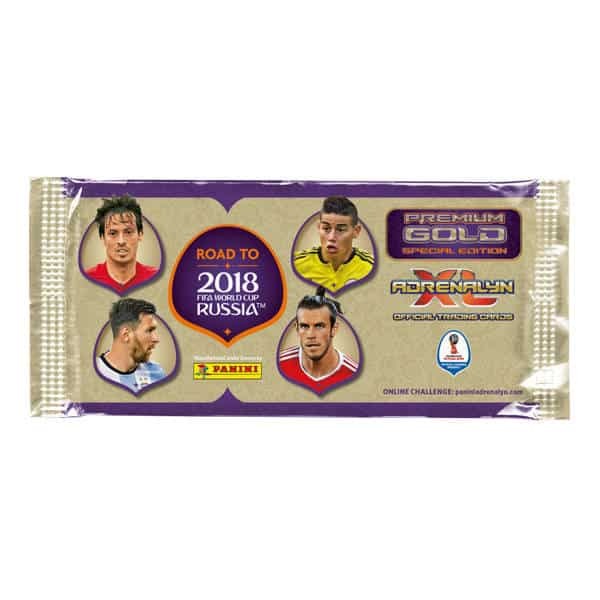 The Panini Road to World Cup 2018 Adrenalyn XL Premium Gold packet will be an absolute novelty. 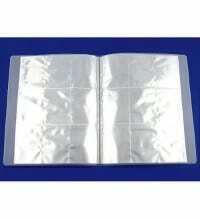 It contains 10 cards in total, including 2 limited edition cards + 1 limited edition online-card. This card can only be used in the online game of RTWC 2018 Adrenalyn XL. There you can activate a top player with the code form the card and then play with him online. 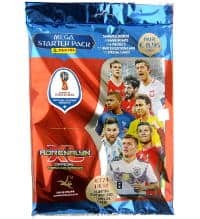 The Panini RTWC 2018 Adrenalyn XL Premium Gold packet will be even more expensive than the regular Premium booster. Nevertheless it will be absolutely essential for experienced collectors to buy at least one Premium Gold packet. Football conquers new countries. 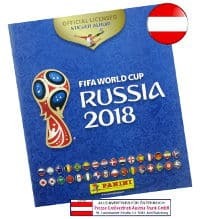 For the first time a FIFA Football World Cup takes place in Russia. It's the biggest country on earth and extends across eleven time zones. 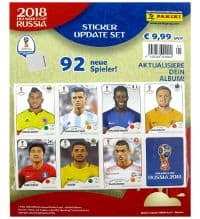 Therefore, the Panini World Cup 2018 stickers collection will in a certain sense be a premiere. 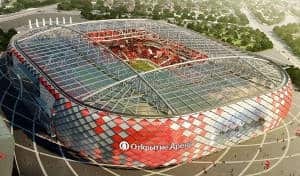 The venue of the meanwhile 21st final round will take place from 2018-06-14 to 2018-07-15. Overall, there will be 32 teams from as much countries participating in the tournament. 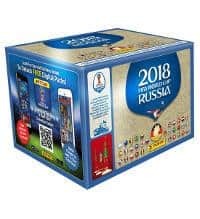 Confederations Cup 2017 (2017-06-17 to 2017-07-02) is the full dress rehearsal for the 2018 World Cup. 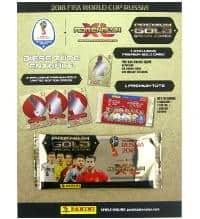 In parallel to this event the "Road to World Cup 2018" collection is released for both stickers and Adrenalyn XL trading cards. 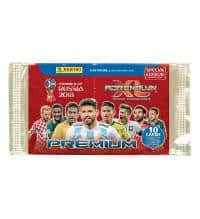 Maybe it is a reference to the look of the Panini World Cup 2018 album. 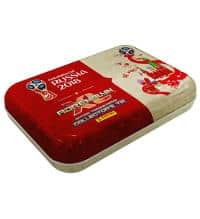 There is already much speculation about how the Panini World Cup 2018 album is built up. 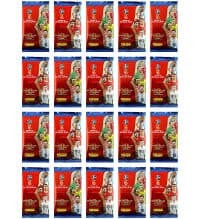 According to the official FIFA World Cup 2018 logo it will be dominated by the color red. 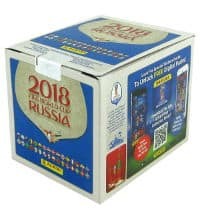 The logo shows a conventionalized Cup, which is desgined in the colors of the Russian flag. It comprises three star spangled circles in blue. These circles represent the sky and thus the outer space. At the bottom of the cup you can see cheering people. As you can see, the logo is characterised by symbols of aerospace and icon painting. 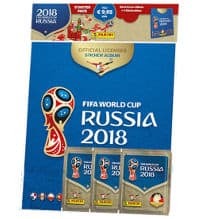 It can be expected that the Panini World Cup 2018 stickers album will strongly focus on the logo. Basic facts - what impact do they have on Panini World Cup 2018 album? 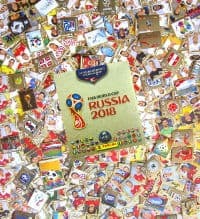 Qualifying rounds - who will make it in the Panini World Cup 2018 album? The qualification rounds for the Russia 2018 FIFA Football World Cup are yet fixed. In the qualifying 141 teams will fight for the move-in into the final round of the tournament. Those teams who successfully master this difficult challenge can be sure to appear in the Panini World Cup 2018 album. The distribution of the 32 starting slots is according to following table. 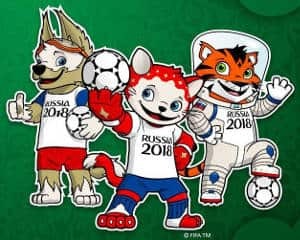 From September, 23rd 2016 fans could vote for the mascot of the forthcoming Russia 2018 Football World Cup through an online vote. Three candidates, which have been determined out of more than 100 applicants in presets, stood for election. Thereby a wolf, a cat and a tiger prevailed. On 21st of October 2016 the results of the online vote have been announced within a colourful broadcast in Russian TV. The winner was quite clearly the wolf (52,8%) followed by the tiger (approx. 26,8%) and the tomcat (approx. 20,4%). At the same time the name of the mascot was revealed: Zabivaka™, which means "small goal scorer" in Russian. 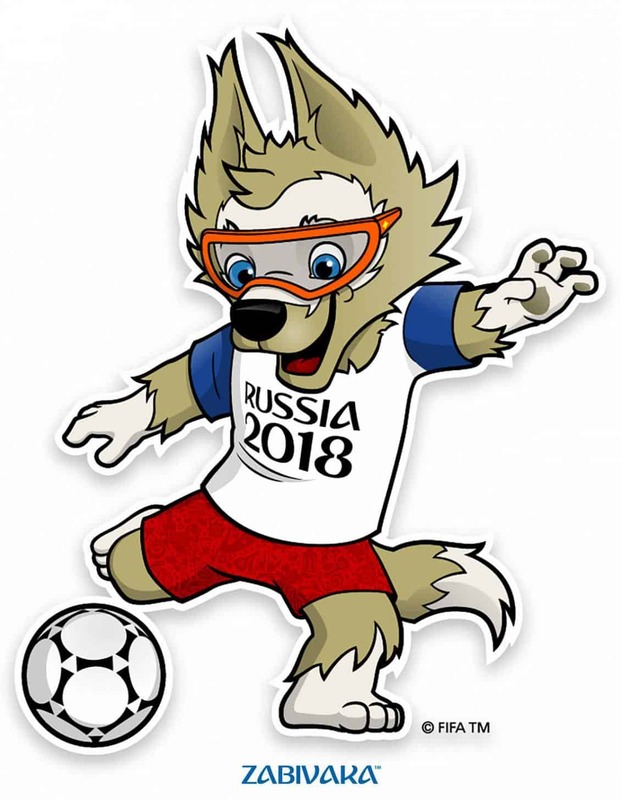 Mascot Zabivaka™ has a frinedly smile and wears orange-red ski glasses on his head. 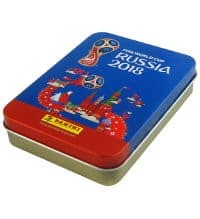 He also wears red sport pants and a white jersey with blue sleeves and the overprint "Russia 2018". On all existing illustrations he has a football either under his arm or at his foot. 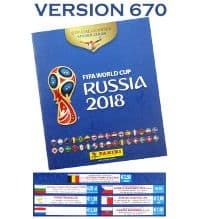 Zabivaka™ will characterise the Panini World Cup 2018 album in any way. Either as stickers or as illustration on pages.